The crop clamping system Qlipr is renowned for its application in cucumber and tomato cultivation. 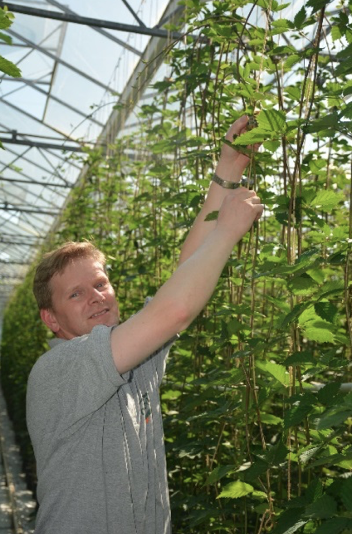 Cucumber grower Wim Joosen from the Belgian Brecht developed his own 'Qlipr method', with which he can use the system both for cultivation on the high wire and in traditional cultivation. 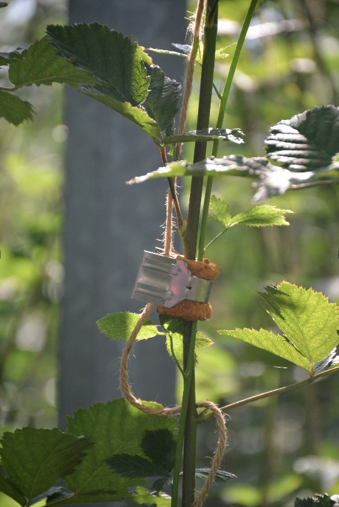 However, the system also has added value in the propagation of blackberries, as demonstrated by the experience at Tuinderij Joosen. The entrepreneur is particularly positive about the simple way of working and the sustainability gains that are made. Tuinderij Joosen in Brecht is based on two pillars: the cultivation and cultivation of blackberries and the cultivation of cucumbers; both ordinary and mini cucumbers. He also grows raspberries on a limited scale, intended for home sales. Entrepreneur Wim Joosen, who took over the company from his parents in 1994, supplies cucumbers from February to the end of November. The production of blackberries is concentrated in the period April-December, with a peak in the months of May, June and October. "We mainly grow the blackberries in the older greenhouses, because they are best suited for this. 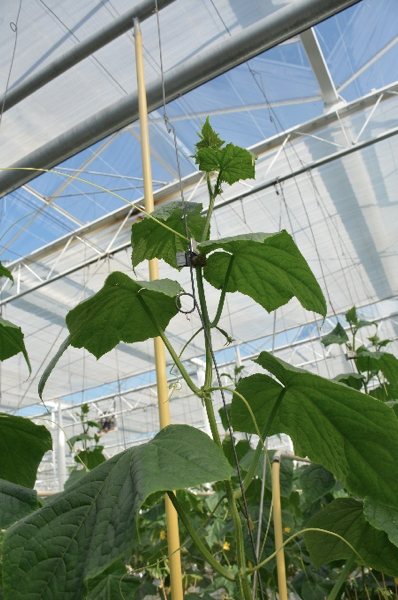 Cucumber production takes place in more modern greenhouses, "says Joosen, who has a total of 2.3 hectares of glass. The blackberries are marketed via Fruitmasters in Geldermalsen, the cucumbers go to the Belgian auction Bel'Orta. In addition, Joosen sells an important part of his home product. Joosen grows four rounds of cucumber on gutters every year. In the first three crops he chooses the traditional cultivation or he extends the trunk; the so-called semi-high-wire method. In the last cultivation round, Joosen invariably goes for high-wire cultivation. The entrepreneur always uses the Qlipr crop clamping system, regardless of the cultivation method he chooses. "I have been working with Qlipr for a year or thirteen and have developed my own approach for this," says Joosen. "Two Pellikaanhaken hooks are hung on the top wire, which are hooked together. Halfway through I made a loop by Cor Pellikaan: in traditional cultivation, the rope is stretched horizontally through it. " In both cases, the plants are cleaved from the first moment to the Pellikaanhaken. The first time 'cliping', as Joosen calls it, happens every day or five after planting. "We then" clip "every four to six days; we always work with two crop clamps per plant. Turning should normally be done twice a week, so with the Qlipr system you have a little more play and you are more flexible. That is definitely an advantage. " The Qlipr system, however, has more plus points according to Joosen. This saves labor and because the foliage does not contain any rope or plastic, it can be composted immediately after cultivation. "With this we are taking a lot of sustainability gain"
Wim Joosen also uses Qlipr in the propagation of his raspberries and blackberries. The small plants grow upwards along a rope, where two stems are clipped with one clamp on one rope: a cultivation method that he developed himself and in which he is unique. "We use one crop clamp per string: every ten days this clamp is set up," explains Joosen. "We used to plant the plants with a max-rod, but because we raised our plants to three instead of the usual two and a half meters, that was very difficult. Qlipr mainly brings a lot of convenience. In addition, working with Qlipr is very simple: everyone can do it, including our Romanian seasonal workers. This allows us to work more efficiently and faster. " Another advantage, according to Joosen, is that the crop clamps and the associated foam can be reused; this in contrast to plastic clips. "We can also work more sustainably in the blackberries. And that is becoming increasingly important in today's time: customers attach great importance to this. "